Patients with intermittent claudication should primarily be offered supervised exercise training. 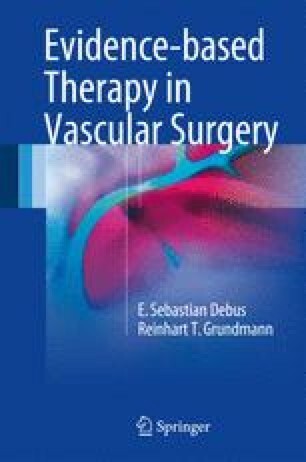 Endovascular revascularization is considered when exercise fails to achieve an adequate symptomatic improvement. Open surgery is only the third option, recommended when the alternative treatment options are logistically or technically unfeasible or have proven unsuccessful. NICE National Institute for Health and Care Excellence. Peripheral arterial disease: diagnosis and management. NICE guidelines [CG147]. 2012. https://www.nice.org.uk/guidance/CG147/chapter/1-Guidance.